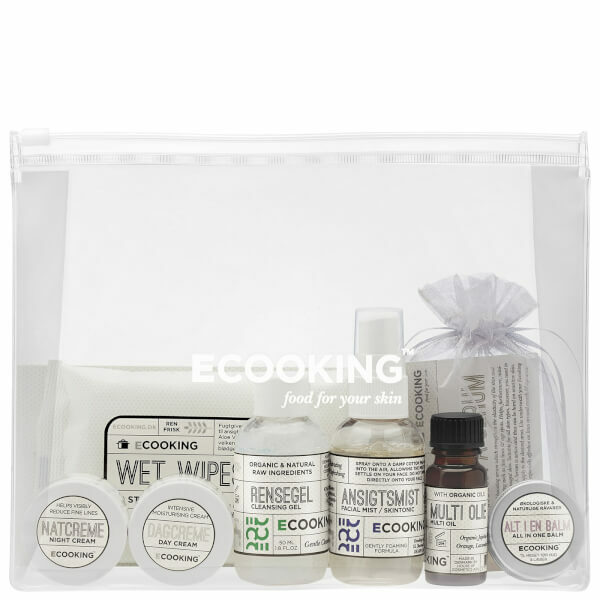 The Ecooking Discovery Set is a comprehensive starter kit that contains everything you’ll need on the go. Mildly and effectively removes makeup, dirt and excess oil from your skin. Skin tonic moisturises and nourishes with Vitamin E.
Moisturizes and reduces fine lines. Smooths and reduces fine lines. Heals, sores, burns, insect bites, cold sores, pimples etc. Avoid irritation when shaving, for dry/damaged hair, for removal of eye makeup. Firming Serum, Vitamin A and Vitamin E in capsules. 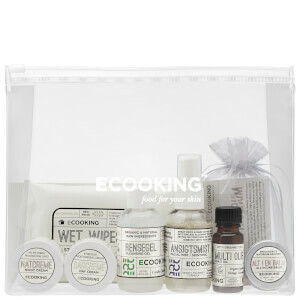 Gently cleanse and moisturise skin. Made with degradable material. Complies with airport regulations.